Unit is approx 9 sq meters. 24/7 access with security code, CCTV security coverage. Easy access via parking bay and large lifts. Perfect for document storage, sporting equipment or furniture, rent options with company for short or long term leases, can store personal or professional items. 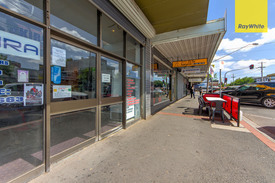 Investment Feast in St Al.. Price: Main Road Retail! Boutique Modern Warehouse.. Price: $775,000 + GST (if applic..